“Metamorphosis” by Charles Blackman, is one of six prints in his just relased Master Works Series of limited edition fine art archival pigment prints, each is limited to 190 only, they are hand signed. 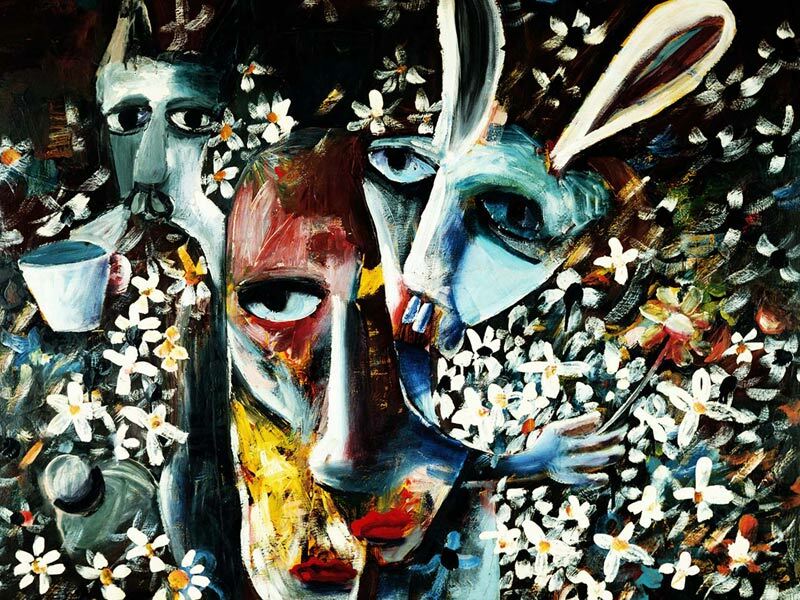 Oil and enamel on composition board, signed upper left, ‘Blackman’, signed and inscribed verso, ‘Metamorphosis Charles Blackman, old labels attached verso, painting size 84.5 x 112.5 cm, this fine art print of Metamorphosis is made on Hahnemühle 310gsm Elegance Velvet 100% acid free cotton rag arachival paper and has an Image Size: 600 mm x 800 mm, Paper Size: 770 mm x 915 mm. Note, Each individual archival pigment print for the masterworks Series comes with it’s own letter of authenticity from the Blackman Foundation. All works have been approved and initialled by the artist. 12 months Lay Buy is available on 20% deposit at Etching House for these fine art Charles Blackman Master Works print series titled, The Presentation, Dreaming in the Street, The Blue Vase, Dream Image, The Drama, Metamorphosis.